Made his debut with Dynamo Moscow 2nd Team (Russia) during the 2005-06 season. Made his debut with Dynamo Moscow main team during the 2006-07 season. 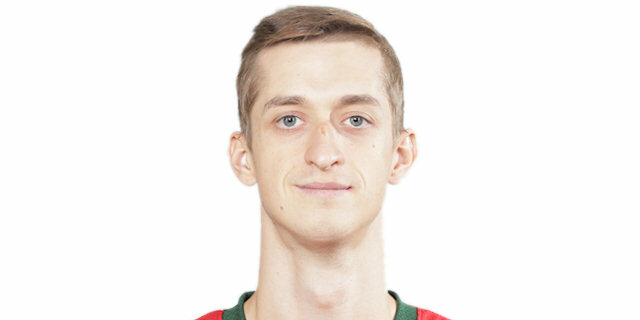 Signed for the 2013-14 season by BC Nizhny Novgorod. Signed for the 2016-17 season by Lokomotiv Kuban Krasnodar. Won the 2018Russian National Cup with Lokomotiv Kuban Krasnodar. Won the bronze medal at the 2011 European Championship. Won the bronze medal at the 2012 Olympic Games. Played at the 2015 and 2017 European Championships. Has been member of the Russian U-16, U-18 and U-20 National Team. Played at the 2004 European U-16 Championship. Played at the 2008 and 2009 European U-20 Championship. Led the 2009 European U-20 Championship in assists (6.1 apg.). Won the gold medal at the 2013 World University Games.